Return to old school music when Queensland's biggest record fair hits Brisbane on Saturday May 4th. Hosted by the Queensland museum, the collectomania vinyl fair will be the perfect opportunity for all vinyl music fans to unearth vintage treasure. Whether you are an experienced collector or a first time browser there is certain to be something of interest amongst the 100,000 LPs and more on offer. Over 50 record dealers and private sellers will set up shop in the museum's whale hall for this day-long event. 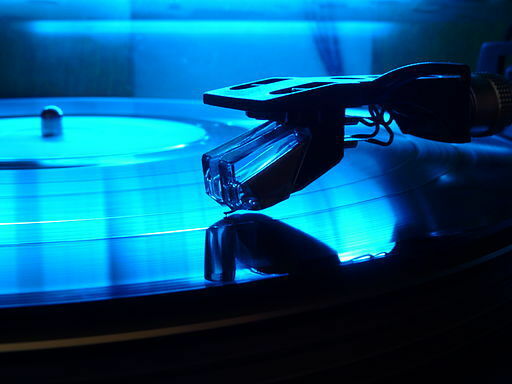 Everything from disco, rock, and blues to folk, jazz and country will be available for vinyl fans to peruse. Rare, classic and collectible items are sure to delight lovers of music and retro pop culture. Even though vinyl will be the star of the show, DJs, badge-making, cover art exhibits and vintage record displays will be adding an extra layer to the fair. Do you have a collection of LPs that needs to be trimmed down? Expressions of interest are being sought for one-crate sellers to join the vinyl fair. Further details can be found on the Queensland museum's website. Buyers may even find a rare gem amongst these personal collections. 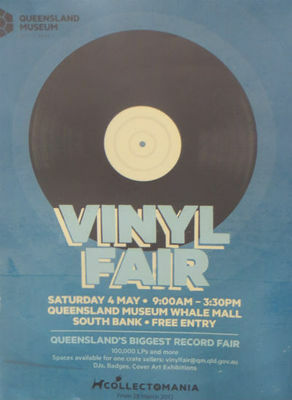 The collectomania vinyl fair will be held from 9am – 3.30pm in the Queensland museum's whale hall. Why not add a visit to the museum's latest exhibition collectomania while you are there? Early birds will of course have access to the best pickings. Entry is free. The rise of digital media almost eliminated the vinyl record but thankfully vinyl is regaining its popularity as a sound format. Ditch your i-thingy for the day and discover why watching a turntable spin your sounds can be the coolest way to listen to your music.